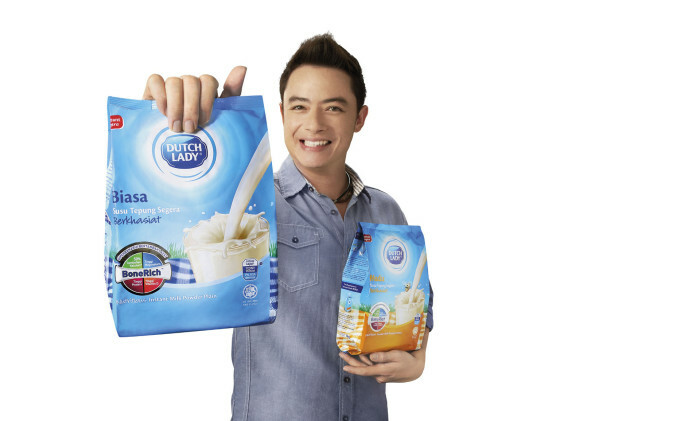 Malaysia – Dutch Lady Milk Industries has engaged celebrity chef Sherson Lian as the brand ambassador for Dutch Lady Family Milk Powder. According to director of marketing Anja Martina Henze, Dutch Lady Malaysia sees a great fit between Chef Sherson and Family Milk Powder as he is recognised for sharing the ease of cooking Malaysian food at home with his fans. Chef Sherson is best known for his lifestyle television cooking show, ‘5 Rencah, 5 Rasa’. Through this ambassadorship, which Chef Sherson describes as a perfect fit, he will create new recipes using Dutch Lady Family Milk Powder. Dutch Lady Malaysia is also giving five Malaysians a chance to cook with Chef Sherson in their very own kitchen through the Cipta Rasa Dutch Lady contest. Participants are required to submit their most creative and original recipe idea featuring Dutch Lady Family Milk Powder as an ingredient from now until 31 March. The top five winners with the best recipe will be chosen.